On Sunday's Once Upon a Time winter finale, season 5 episode 11 "Swan Song," the dark siege of Storybrooke is underway as all of the resurrected Dark Ones target a living soul for sacrifice so that they can return to the realm of the living. With doom imminent, Gold (Robert Carlyle) advises Mary Margaret (Ginnifer Goodwin), David (Josh Dallas) and the rest of the heroes to spend their last fleeting moments enjoying the company of their loved ones. Emma (Jennifer Morrison), however, refuses to give up, knowing that she is responsible for righting all the poor choices she made as Dark One – there’s only one problem, Dark Hook (Colin O'Donoghue). 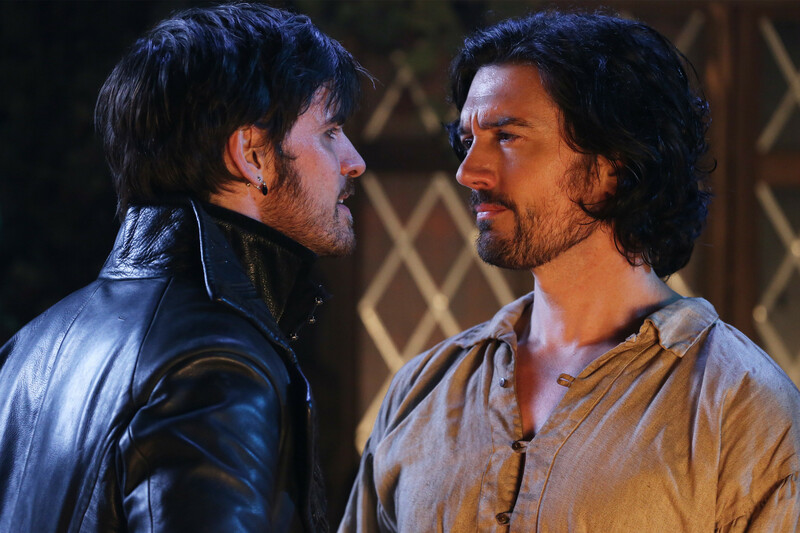 When they face-off with the fate of Storybrooke at stake, Hook’s actions will devastate Emma in a way no one saw coming. In a Fairy Tale Land flashback, the Evil Queen (Lana Parrilla) tests Hook’s mettle by forcing him to confront a demon from his past before contracting him to dispatch one from hers. 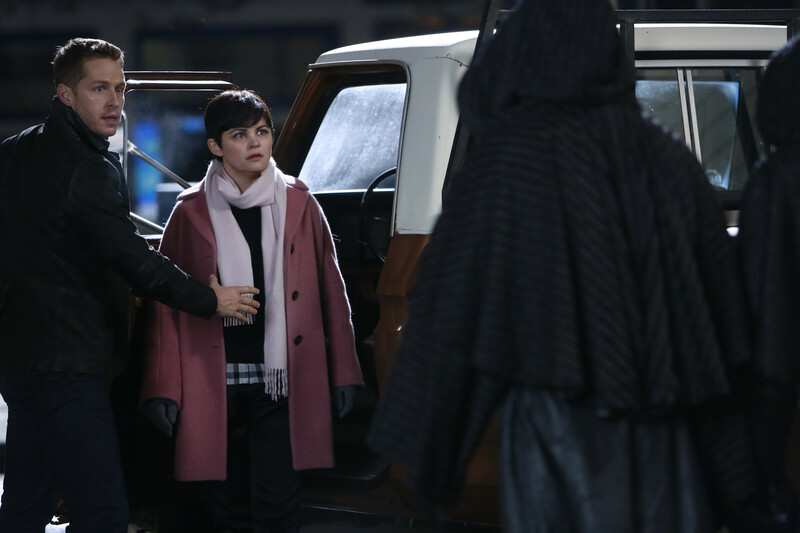 In the sneak peek clips below, a flashback to Fairy Tale Land past uncovers a deal Hook made with Regina -- but first, he is put to the test. In present day Storybrooke, Hook is determined to get his long-awaited revenge on Rumplestiltskin/Mr. Gold. Meanwhile, Emma is on a mission to stop Hook, no matter what it takes. Tune in to the season 5 winter finale of Once Upon a Time SUNDAY DEC 6 8|7c on ABC.